Last night, I watched one of the new Avengers movies. I actually don’t know whether it was new, because I don’t keep up with them. Thor got his hair cut, if that helps you remember which one I mean. Anyway, it was fine, and so were the action scenes. 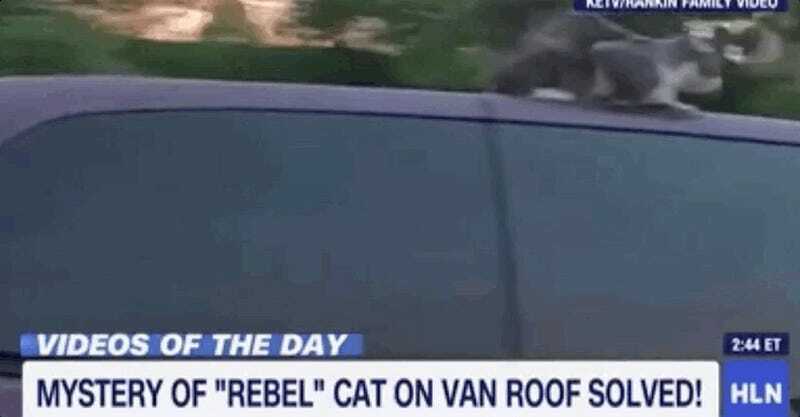 But this cat riding on the roof of a 60-mph van totally blew all of that out of the water. He just takes off and does what he wants! Rebel, never change. Criger looked back on the bizarre scene: Like a game of cat and mouse as a family in another car one lane over tried to get Criger’s attention. 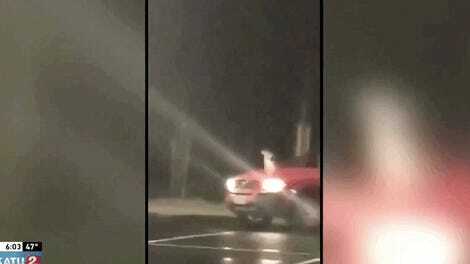 Criger and her boyfriend pulled over on Interstate 480 and realized it’s their pet. Cats are so chill, even when they’re out there filming impromptu action scenes. Meanwhile, Thor was all mad about a forced haircut. 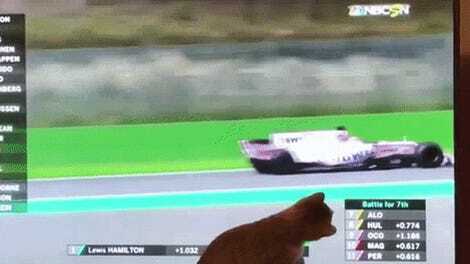 The cat wins this round.